Xerox C75 Press offers outstanding color performance. 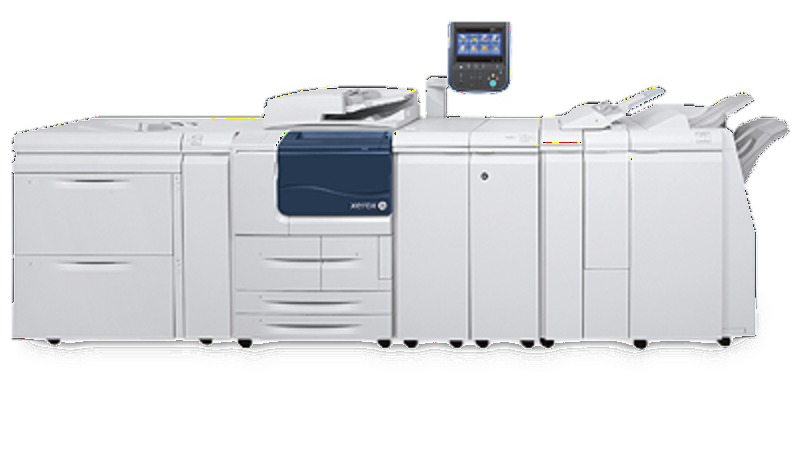 Xerox D136 Press offers high speed cost efficient black & white printing and finishing. REPRO's state of the art production platforms allow us to offer incredible quality at even more affordable prices. Using Xerox technology we print or copy all your documents producing consistent quality every time. We accept virutually any file format for your convenience. You can use our ftp site to upload files to be printed. A print speed of up to 135 pages per minute. The ability to simultaneously process, RIP, print and recieve jobs over the network or internet. The premier choice for networked high-volume, high-speed black & white printing and copying. 600 dpi print on demand, electronic storage and distribution solution. Offering a huge array of paper input and output options, inline stapling and thermal binding to meet the tightest deadlines.